In order to give a good service to our readers we regularly check the Feedjit to see what our readers are searching for that brings them to our blog. 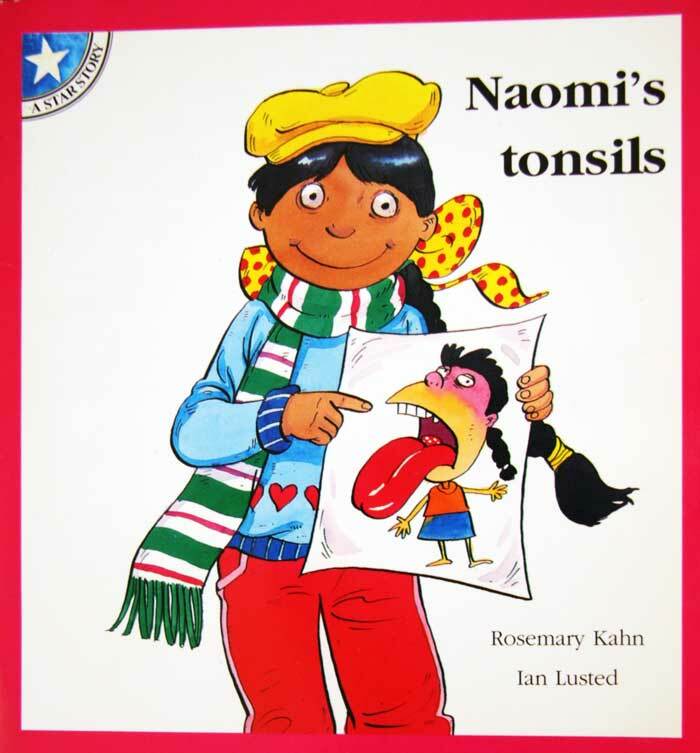 Recently we noticed a number of readers came searching for Naomi's Tonsils. We decided to do a google search and to our dismay discovered that there are a number of websites that list this book under a different author. When emailing to request that they correct their error, we received a reply that there appears to be multiple authors. We would like to draw your attention to the truth. Naomi's Tonsils is a delightful book written by Rosemary Kahn specifically to ease the process of children needing to go to hospital for a tonsillectomy. There is and always has been ONLY ONE author. The book was published by Juta Publishers in South Africa and Rosemary Kahn holds the copyright for this book. Jutas did sell the book to Nationale Pers however there was never any change of author. If you are reading this post and have seen another author listed, please notify us as we wish to ensure that all information regarding this or any other books authored by Rosemary Kahn is correct. If you are reading this and have a website with the erroneous information, kindly correct the error and notify us that you have done so.